Marion Palfi (1907 – 1978), an immigrant photographer and member of the New York Photo League, a pivotal organization in photography and U.S. history, took photographs of girls at the Training School in Hudson, NY. 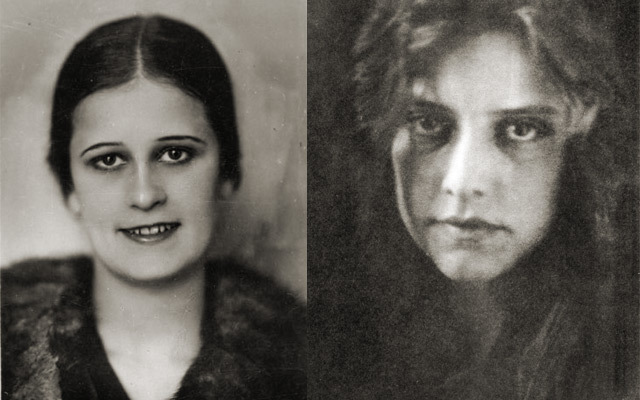 Though she was one of the most under-recognized of the Photo League photographers, Palfi’s images of girls at the New York State Training may be the best -known photographs ever taken at the Hudson prison. Palfi, who called herself a “social research photographer”, was born in Germany and came to America from Amsterdam in 1940 just ahead of Adolf Hitler’s invasion of Europe. Soon thereafter she launched a ‘study’ on minority artists and met Langston Hughes who became an ardent supporter of her work until his death in 1967. In 1946, Palfi received a Rosenwald Fellowship, the second ever granted by the foundation for photography and the only one ever given for photography on race relations. The grant made possible a nation-wide study of children and youth that resulted in an exhibition, “Children in America” and a book, Suffer Little Children, published in 1952. The exhibition opened in January of 1949 at the New York Public Library and subsequently traveled for three years throughout the United States. The photographs in the exhibition and book showed children and youth suffering from everything from poverty and prejudice to prisons and delinquency. Though reputedly the first white photojournalist to focus specifically on the linkages between racism and poverty, in Suffer Little Children Palfi focused on the diversity of American society, not isolating one ethnic group and their difficulties. She portrayed poverty as a destructive force affecting African Americans, Asian Americans, whites and Latinos alike. She attacked the suffering of children with a particular fury: “Poverty is like the murdering of little angels”, she wrote. Many of her images for the project comment on the physical limits of the national vision, exploring the very bars, walls, and gestures that separate outsiders from larger society. Palfi presents photographs of white girls at the Training School in Hudson including a 12-year-old white girl in “solitary confinement”. Palfi, Marion (1952). Suffer Little Children. New York: Oceana Publications. University of Kansas Museum of Art (1973). 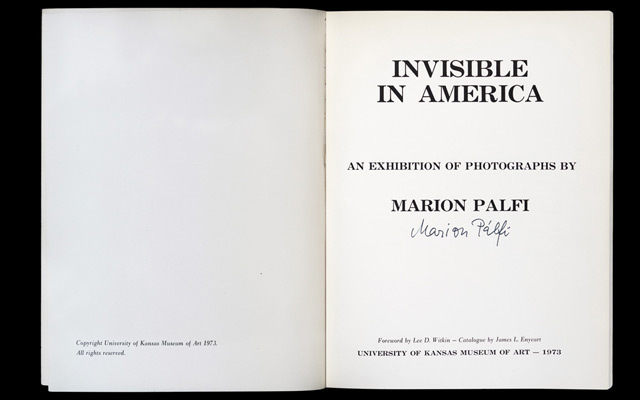 Invisible in America: An exhibition of Photographs by Marion Palfi.